This set consists of 257 pieces which can be used to make a replica of the M1911 United States Service Pistol. 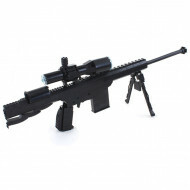 The completed model is 22cm in length and feature.. 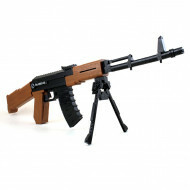 This set consists of 467 pieces which can be used to make a replica of the famous AK-47 Kalashnikov assault rifle. The completed model is 46cm in length and fea.. 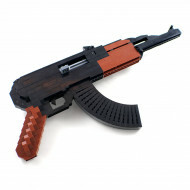 This set consists of 493 building blocks which can be assembled into a model of the original QBZ-95 light rifle, a firearm used extensively by the Chinese armed.. 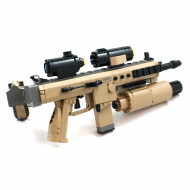 This set consists of 767 building blocks which can be assembled into a model of a Czech 805 Bren modular assault rifle. All of the blocks are included in the bo.. 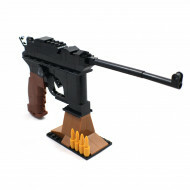 This set consists of 145 building blocks which can be assembled into a model of the Mauser C96 semi-automatic pistol. All of the blocks are included in the box .. 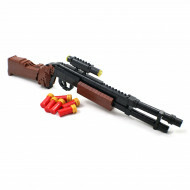 This set consists of 527 building blocks which can be assembled into a model of the M870 shotgun. 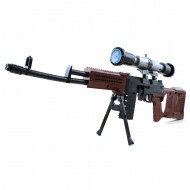 The model does not shoot however it does have a movable forest.. 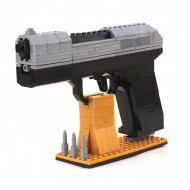 This set consists of 327 building blocks which can be assembled into a model of the QSZ-92 semi-automatic service pistol. 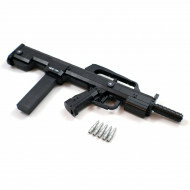 The pistol is used predominantly by th.. 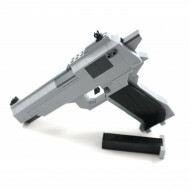 This set consists of 118 building blocks which can be assembled into a model of the Ruger Mark III pistol. All of the blocks are included in the box along with .. 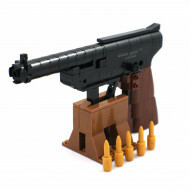 This set consists of 268 building blocks which can be assembled into a MP-45 handgun. 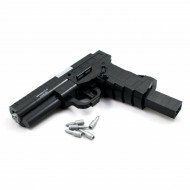 The MP-45 is produced by Smith and Wesson and was originally made for use .. This box contains 712 building blocks which can be assembled into a Dragunov SVD sniper rifle. All of the blocks are included in the box along with an instructi.. This box contains 527 building blocks which can be assembled into a Barrett M107 sniper rifle. All of the blocks are included in the box along with an instructi.. This box contains 617 building blocks which can be assembled into an AK-47 assault rifle. All of the blocks are included in the box along with an instruction bo..